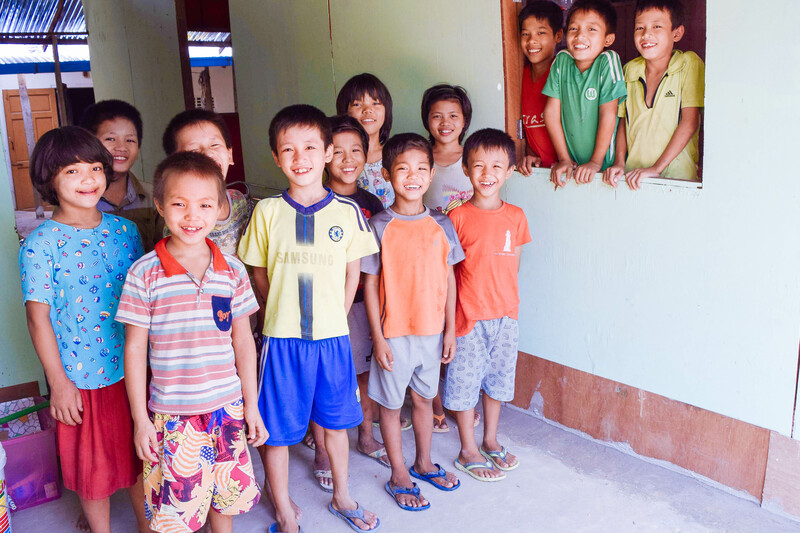 Photo: Our children are enjoying more comfortable living arrangements and are happy to be back in school. 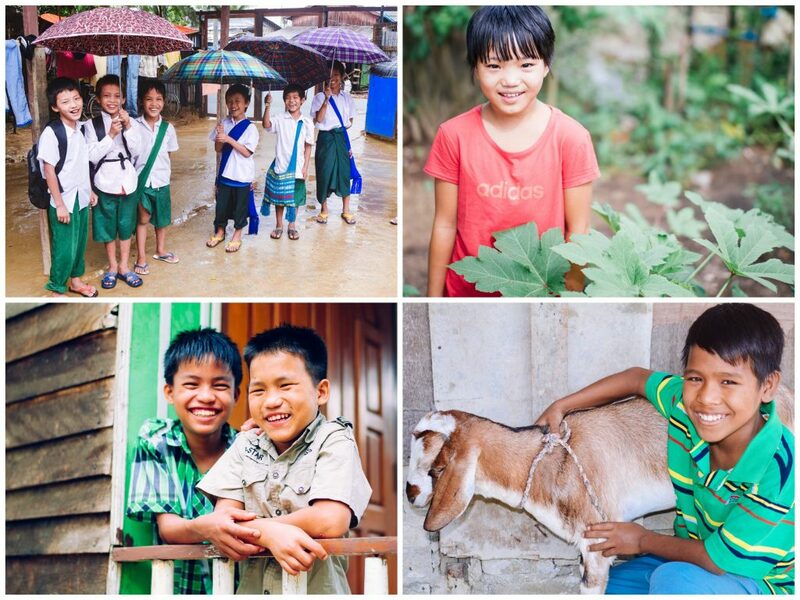 We are pleased to report that our Myanmar orphan home expansion project was completed at the end of May. We have 2 new rooms, which are used for sleeping and studying, and a new dining room. The 40 children who are currently living in the orphan home are much more comfortable and happy with the extra space. We also installed a security wall around the perimeter of the home which will ensure the children’s safety, and provide protection against burglary like we experienced in March when a thief stole a some of our electronics and cash in the middle of the night. Since then we have purchased a new camera, and we are seeking donations to make up for the other losses we suffered from the theft (see link at end of story). Our children are also enjoying the current school year, which continues until February 2016. The children’s education is made possible by profits from our 12-acre farmland along with donations made by our orphan sponsors. We have planted a new vegetable at our garden project — mustard greens, which are an excellent source of vitamins K, A, C, and E, as well as manganese and folate. In addition to our on-campus gardening project, our farmland enterprise produces several tons of rice each year — we look forward to our 2015 harvest in November or December — and along with our piggery project, our native team in Myanmar is able to serve almost 300 meals each day to orphans and staff in four different homes in the country. The farmland not only provides fresh staple ingredients for their meals, but also produces a lucrative profit to create important funding for things like school supplies for the children. In other good news, our reverse osmosis water purification system at our main orphan home campus continues to function very well. It enables our local team to save thousands of dollars on purified drinking water. But not only are they saving money with the abundance of clean water, they’re also generating funding from it as well. As part of a new business idea, we sell excess water to the community to generate funding toward our programs — we are currently making a profit of $70 per month from water sales, a substantial amount in a society where the average daily earnings of a laborer are around $1.50. It’s at least enough to take care of the maintenance of the filtration system. Sadly, many of the children are sick with malaria due to heavy rains and rampant mosquitoes. All of the children have seen a doctor, but we ask for your prayers for their health and healing. In all of these measures, we go beyond rescue to rehabilitation and restoration, through education and proper equipping, and through providing the orphans with loving, nurturing home environments. One can only imagine the exponential impact these children will make in the world as they eventually graduate and go on to lead successful, productive lives.